Thank you for considering Corners Tavern for your private event. 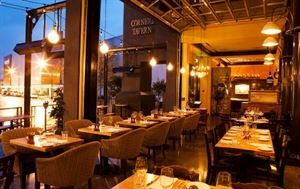 Situated in the heart of downtown Walnut Creek at the shopping mecca of Broadway Plaza, our restaurant offers a number of private dining options to best suit your needs. Choose from our intimate private dining room, eclectic lounge, outdoor patio or full restaurant buyout. Our events team is at your service to assist you in successfully hosting your event.